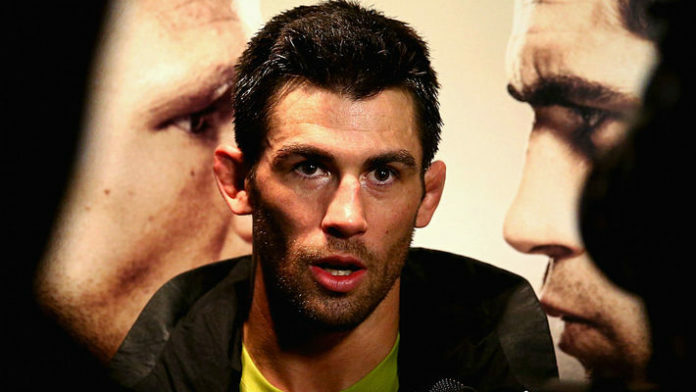 Dominick Cruz is not a fan of seeing fighters gain an advantage due to being over the weight limit. Mackenzie Dern did battle with Amanda Cooper in what should’ve been a strawweight clash. Instead, Dern missed weight by seven pounds. Luckily for her, the bout continued as Cooper agreed to take the fight. Dern had 30 percent of her fight purse yanked as a result of the scale fail. In the end, Dern ended up getting a first-round submission win. While she was the favorite going into the bout, many question whether or not the weight advantage played into Dern’s hands. After all, when she made weight for her UFC debut against Ashley Yoder, Dern struggled and barely escaped with a split nod. Dern isn’t new to failed weight cuts. Prior to UFC 224, Dern failed to make weight twice. Despite calls for her to move up to flyweight, Dern insisted that she remains at 115 pounds. Many have questioned how seriously Dern is taking her mixed martial arts career. With a bevy of accolades in Brazilian jiu-jitsu, there is no denying that Dern has potential. She is off to a hot start in MMA with a 7-0 record. Four of those wins have come via submission. Dern recently admitted that she was “ashamed” to have missed weight by a large margin. She also noted that she will be utilizing the UFC Performance Institute to help properly manage her weight. If that doesn’t work out, then the UFC may force Dern to move up to 125 pounds. Do you agree with the assessment Dominick Cruz laid out on Mackenzie Dern’s failed weight cut?